Life is supposedly based on a simple equation… Work hard and you will be successful. This may be somewhat true, but I believe that a whole heap of luck is also involved. There are many things you can do in life to increase your chances at being lucky – optimism, open mindedness and determination will go far in helping you live the life you consider successful, which of course, is very different for all of us. So today I offer you this lady beetle, which is considered a sign of good luck by many cultures. My grandmother strongly believes in luck, and would tape four-leaf clovers to all of the framed photos she had around the house. 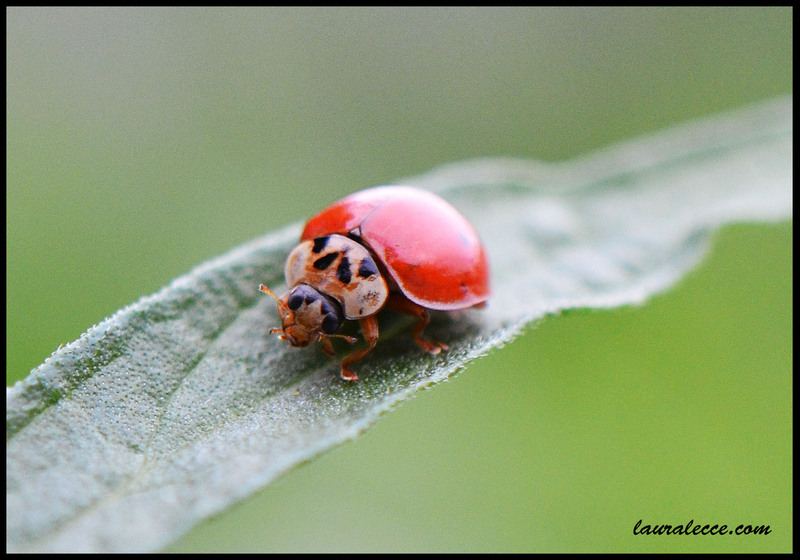 When I was a young child I would go hunting in the garden to find shiny red, yellow or orange lady beetles. After returning from the garden with one in my hand, my grandmother used to recite a nursery rhyme in Italian as she was tracing circles around the lady beetle on my palm. I no longer remember the words of the rhyme, but it was telling the lady beetle to fly away and find me a husband. As it turns out, a month after my husband and I started dating he went to Italy with his parents for 2 months. On his return he gifted me a necklace with a beautiful lady beetle charm attached, and 5 years on we were married. So, sometimes in life working hard doesn’t mean anything at all, you just need a little luck and a lady beetle.